The Animal Urgent Care Clinic of South Orange County is a cooperative facility founded and supported by leading area veterinarians to provide emergency care for pets during the hours when your primary veterinarian is not available. We know emergencies don't happen according to schedule. That's why Animal Urgent Care Clinic is open and staffed at times when good care can be hard to find. We're available to provide urgent care throughout the night, on weekends and major holidays. We are conveniently located in Saddleback Valley adjacent to Mission Viejo Animal Shelter. At Animal Urgent Care Clinic we care about you as well as your pet. We know that a critical illness or unexpected accident is stressful for everyone in your household. Our staff will assist you in every way we can to ensure that you receive timely information, a full explanation of treatments, and a realistic estimate of fees. After you leave our hospital we will transmit important medical information directly to your doctor so that continuing care is timely and appropriate. When your pet is hospitalized at Animal Urgent Care Clinic, your pet is monitored around the clock. Our nursing staff is headed by experienced veterinary technicians who provide care that can make the difference in critical situations. Doctors are on duty throughout the night. Of course, along with expert medical attention, our patients receive the tender loving care they deserve. The Animal Urgent Care Clinic is the only facility in our area designed and equipped as an emergency only animal hospital from the ground up. Our doctors are trained and dedicated to meet the demands of emergency medicine. Our patients enjoy the latest in diagnostic, monitoring and supportive equipment, including digital radiology. Our in-house laboratory capabilities supplies timely and critical information about your pet's illness. Ultrasound technology adds to our ability to make critical diagnoses and institute appropriate treatment. 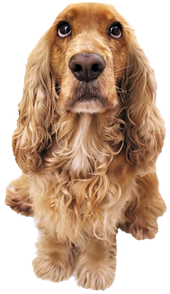 Should your pet require emergency surgery at any time you are assured that our staff has the equipment and expertise you would expect from your own doctor.